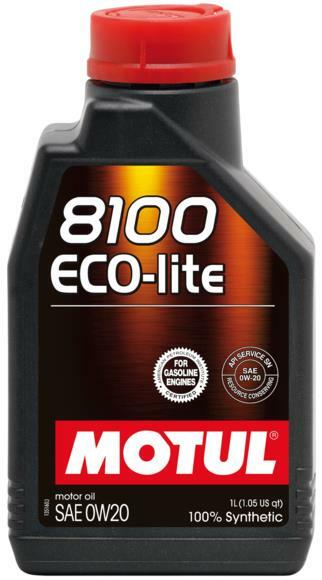 Motul Motor Oil - 8100 Eco-lite 0W-20 - Brakeswap.com - Friction for the Win! 100% synthetic lubricant based on Ester-Technology. Fuel Economy lubricant with low viscosity for the latest generation of gasoline engines. Recommendations: Honda Europe gasoline engines, Mazda gasoline engines, Subaru SOHC engines.